1. Plan all your holiday shopping! Curl up with a nice, warm drink from Liz’s and bask in the glow of your computer screen while you scour Amazon and Pinterest for gifts ideas for everyone from your dog to your roommate! And then when you find a really cool gift that you actually think might be better on your own list, forward it to your parents or primary gift-givers. In all seriousness though, websites like Etsy and ModCloth are great for finding gifts in your budget and ones that no one else will think of. If you prefer IRL shopping, stop by one of the many winter markets going on now at Bryant Park, Union Square, and Columbus Circle. Even though some of the shops are typical NYC booths selling things like lockets or winter hats, there are some great finds and you can support small business owners and NYC residents! There’s also a handy FedEx right on 116th for when you realize that the gifts you bought can’t fit into the one suitcase you are bringing home for break. could go on Yelp or Timeout and see what OTHER people think is the best hot chocolate in the city but why not just start at the Hungarian Pastry Shop and work your way downtown? Extra points for cool flavors like peppermint, white chocolate, or other holiday flavors. It’s no secret that people are more generous during the holidays so take advantage of other people’s kindness to create some of your own! Hold a clothing drive or food drive for a worthy charity or even just volunteer at a soup kitchen, charity run, or blood drive! Getting in the holiday spirit is about much more than just buying gifts and being materialistic, it’s also about helping others, especially those who may not have a home to go to over the holidays or who are just feeling down. Remember those movies from your childhood like Rudolph, the Red Nosed Reindeer or The Year Without a Santa Claus that constantly played on ABC Family during their 25 Days of Christmas? Watch those and every terrible LifeTime movie you can find while eating candy canes and maybe some latkes too! As someone who oftentimes has a tough time leaving campus (because of lack of ideas and because it requires to much effort), this is a great idea to visit some of NYC’s most prominent landmarks and take some great Christmas tree selfies. Make sure to visit the giant tree at Rockefeller Plaza, 5th Avenue for the holiday windows, and the Plaza Hotel for the world’s largest Menorah (after Dec. 16)! Extra points if you see more than 10 people in Santa costumes or if you see anyone wearing anything Hanukah related. 7. Go to Santa Con! So, as a recent NYC transplant last year, I was naively riding the subway one day when all of a sudden, about 30 people came on in either Santa or Elf getups. I knew that some kind of event must have been happening because this was a little too bizarre even for New York. I figured out later that it was called Santa Con and according to the website, “Santa Con is a charitable, non-commercial, non-political, nonsensical Santa Claus convention that happens once a year for absolutely no reason”. This year, it’s on December 13th, which means it’s the perfect way to forget finals exist and pretend you live at the North Pole instead of at a stress-filled school. Clara Butler is a junior at Barnard and the Girl Talk and Opinions editor for The Nine Ways of Knowing. Images courtesy of TimeInc, DenofGeek, and NYCSantaCon. Winter Village at Bryant Park is ridiculously pretty! We’re almost to exam season, and we’re almost to the point of heading our separate ways for winter break. Between your studying and packing, however, take an afternoon or evening to visit one of New York City’s amazing holiday markets. You can eat (obviously the best part), buy gifts from a wide range of vendors, or just walk around in the midst of a bright holiday mood. For your convenience, I’ve compiled a list of the ones I think are most worth your time. I think the best part about this holiday market is the ambiance. The white and red striped stalls are packed closely together, creating a cozy and festive atmosphere. Bonus: Ice skating rink open through March 1st. Though this village is on the fringe of Times Square, it’s not quite as crazy. Visit the Village, see the Christmas tree, and go ice-skating! The same striped stalls as Union Square, with the bonus of Central Park and Columbus Circle as a backdrop. Take a walk through the park then shop, or shop then walk through the park. Your choice! 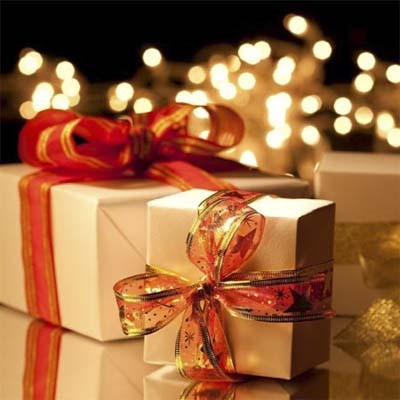 There are many more holiday markets to try out! 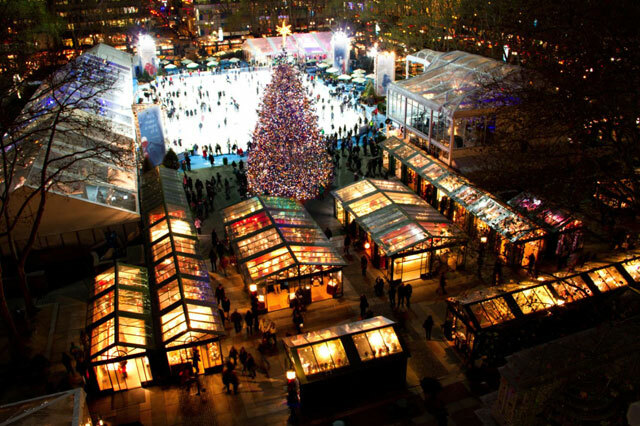 Consult Time Out New York‘s guide to all the holiday markets in the city to learn more.